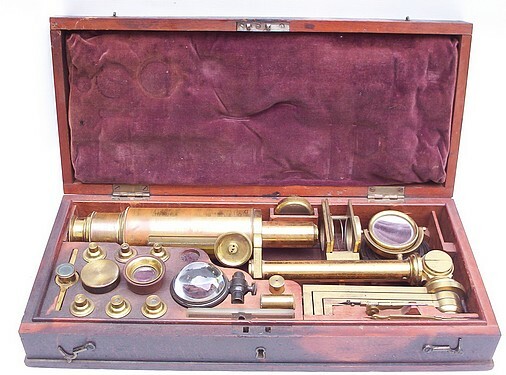 "This Micioscope is very simple in its construction, and will be found much easier to manage than any other compound Microscope in use. Opake and transparent objects, of any size from 3/8 of an inch diameter to the most minute animalcule, are seen either by day or night, very brilliant and distinct, in a field of view, nine inches in diameter, and magnified according to the magnifier used, from 700 to 90,000 times. The apparatus for confining and enlightening the object is very effective, and contrivrd so as to give as little trouble as possible. 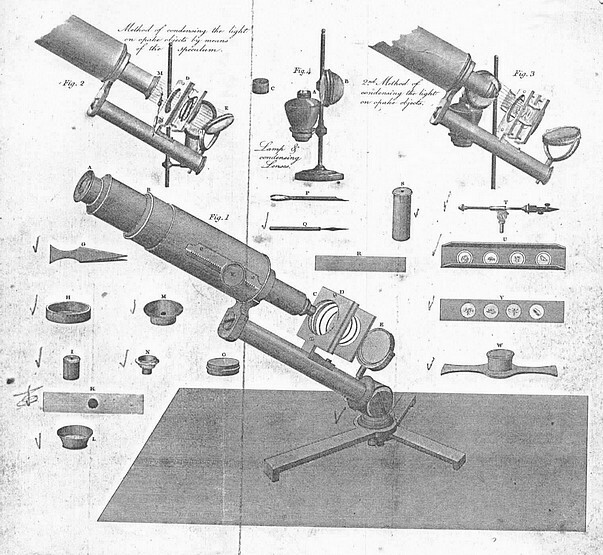 The observer can also be seated in the most convenient position, as the Microscope can be inclined to any angle." 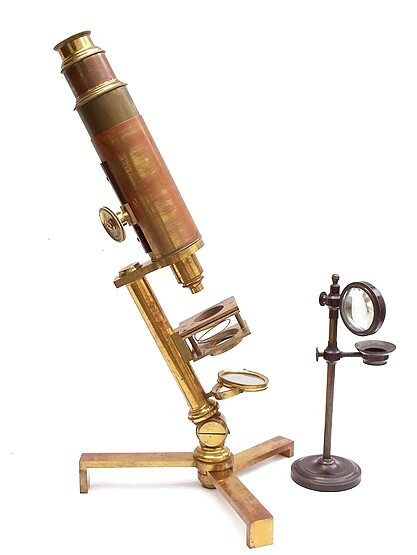 Although unsigned, this microscope is of the type made by Philip Carpenter (1776-1833) located at 24 Regent Street, London.